The Motorcycle Dealers Association of the Philippines (MDAP) President, Edwin Go, told MotoPinas.com earlier this morning that, together with the Motorcycle Development Program Participants Association, Inc. (MDPPA), they will file legal action against the 'Doble Plaka' Law. The new Republic Act 11235, the Motorcycle Crime Prevention Act, was signed and approved by President Rodrigo Duterte on March 8, 2019. 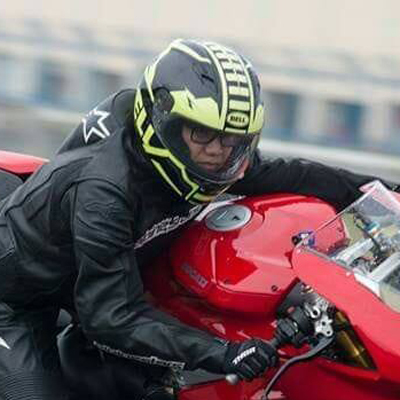 Edwin Go told MotoPinas.com that not only is the law "very discriminating" against the motorcycle rider, the law could potentially hurt the entire motorcycle industry. Go pointed out that the law imposes a hefty fine for failure to attach a plate, ranging PhP 50,000 up to PhP 100,000 or jail time if the offending party is unable to pay. No person, whether natural or juridical, shall be allowed to sell motorcycles, as defined under Section 3 (c) of this Act, unless such motorcycle has the capability to bear and showcase a readable number plate as required under Section 5 of this Act. “This is basically every motorcycle model we have available internationally” explains Go. Should the law require the fitment of a front metal plate, a ruling that will be unique only to a few countries, few motorcycle models will be allowed to be imported into the country, unless they already had the plate fitment devices installed. If the IRR shall require decals or RFID, as promised by Sen. JV Ejercito and the LTO, then many more motorcycles models can be imported. The MDAP is composed of motorcycle dealers while the MDPPA is the organization of the 5 major motorcycle manufacturers (Honda, Yamaha, Kawasaki, Suzuki, Kymco) here in the country. Both the MDAP and MDPPA are happy with the development reached in yesterday's forum, hosted by Senator JV Ejercito. Go said that, “at least now, our voices were heard.” Unfortunately, the emotions are bittersweet as such a forum should have been done while the RA 11235 was being drafted into law, during the bicameral meetings. Motorcycle goups of big and small bikes are gearing up to stage a large protest against the law dubbed by riders are 'Doble Plaka Law' on Sunday, March 24 at the People Power Monument along EDSA. New law shifts collected vehicle registration MVUC fees from Road Board to DOTr and DPWH. The LTO shares motorcycles riders' concerns that a front metal plate is dangerous. Agency considering decals or RFID.